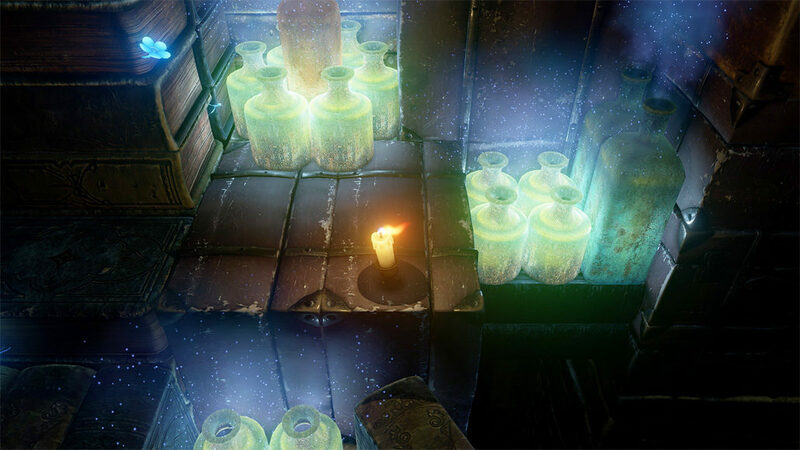 Candleman is a rather odd concept – a platformer largely played in the dark. Anybody who’s tried to make it to the bathroom in the middle of the night without tripping over the clothes hamper for the 100th time (in other words, everybody) knows trying to maneuver in the dark is a pain, but hey, video games have a way of finding the fun in unfun things. Let’s not write this one off just yet. Candleman casts players as a cute living candle who, I assume, is named Candleman. The game just refers to him as “the little candle,” which I’ll (begrudgingly) do too since it will make this review less confusing. Anyways, our little candle is on a quest to reach a faraway lighthouse, which he hopes to one day burn as brightly as. I also think he may have a bit of a crush. The story is simple storybook stuff, but it has its charms and a surprising melancholic edge. Also, not to give anything away, but the game’s ending is rather lovely. Kudos for making me feel things about a tiny anthropomorphized candle. This is a fairly impressive-looking indie game, featuring nice lighting effects and varied stages. Get ready to visit scorching furnaces, magical libraries, tranquil water gardens, and much more along your journey. The game’s soundtrack is subdued, yet pleasant, but it’s the game’s sound effects that really stand out. They’re honestly among the best I’ve ever heard. Rattling chains, crackling fire, and grinding granite blocks sound just like the real thing and add immeasurably to the game’s atmosphere. Candleman’s mechanics are as simple as they come. You can jump, light up your noggin to illuminate your surroundings and…that’s it. The little candle moves a bit slowly (a run button would have been nice), and his jumps are a tad floaty, but, generally speaking, the controls feel reliable. Camera angles are fixed and almost always provide a good view of the action, although there’s the occasional odd moment when a foreground object will block your sight. Ah, but there’s a catch. Your little candle can only stay lit up for a total of 10 seconds per stage. Go over that limit and you’ll burn down to stump, losing a life. You can only use your light in brief flashes, often forcing you to make your way through the darkness by memory. It can be unnerving, but Candleman almost always plays fair. As long as you’re careful, and use your limited light wisely, you’ll be fine. 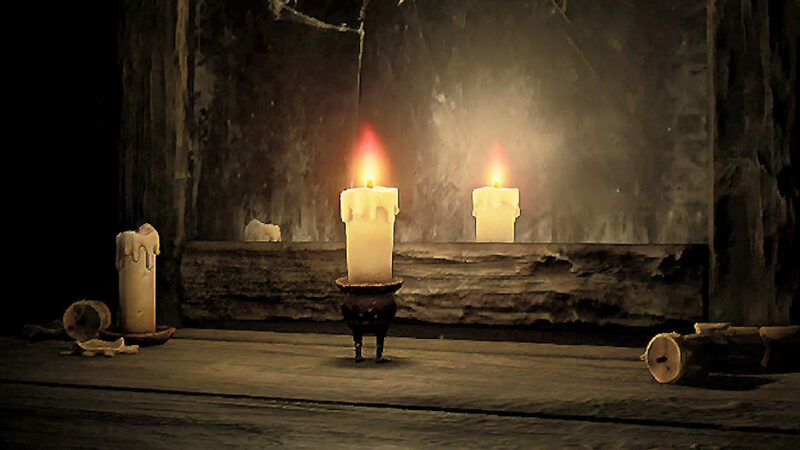 There are also a number of other (non-sentient) candles strewn around each stage. Ignite one and it will stay lit even after you die. This lets you feel like you’re making progress even if you don’t make it to a checkpoint, and there’s just something innately satisfying, almost primal, about gradually illuminating a previously-gloomy stage. 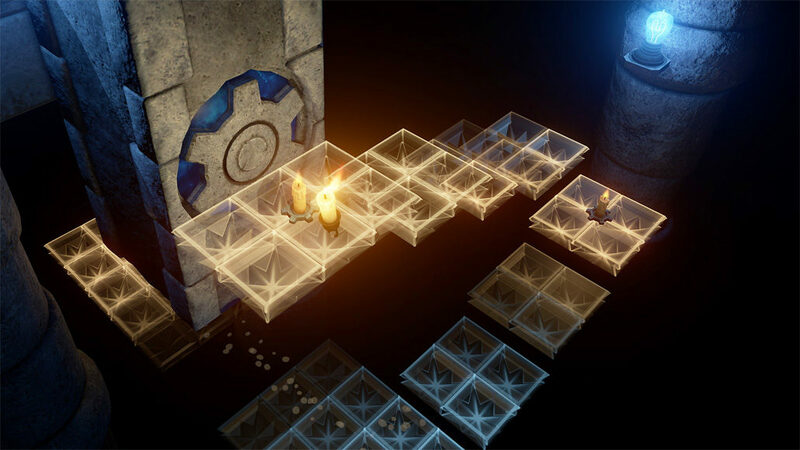 Candleman starts out easy enough but doesn’t take long to play its hand. Laid-back early stages quickly give way to gauntlets of flame, crushing traps, and treacherous disappearing platforms. Some stages even cleverly turn the game’s premise on its head, making light your enemy. Candleman isn’t sadistic, but it can be tricky and requires legit platforming skills. The game almost tips over into frustrating territory once it introduces actual enemies (most of the time you only have to worry about environmental hazards) and it’s one boss fight will have you cussing. These elements aren’t necessarily bad, just out of place. You can bolt through Candleman’s 12 chapters in around four hours. Double that if you want to light all the game’s candles. Doing so is mostly for your own gratification, but tracking them down is still fun. Add in the time trial mode that unlocks after you beat the game, and you’re getting a decent value for your $15. Candleman doesn’t last long, but it burns bright. This review was based on a PC copy of Candleman: The Complete Journey provided by publishers Zodiac Interactive and Spotlightor Interactive. You may purchase it on PC via Steam and on Xbox One via Microsoft Store.